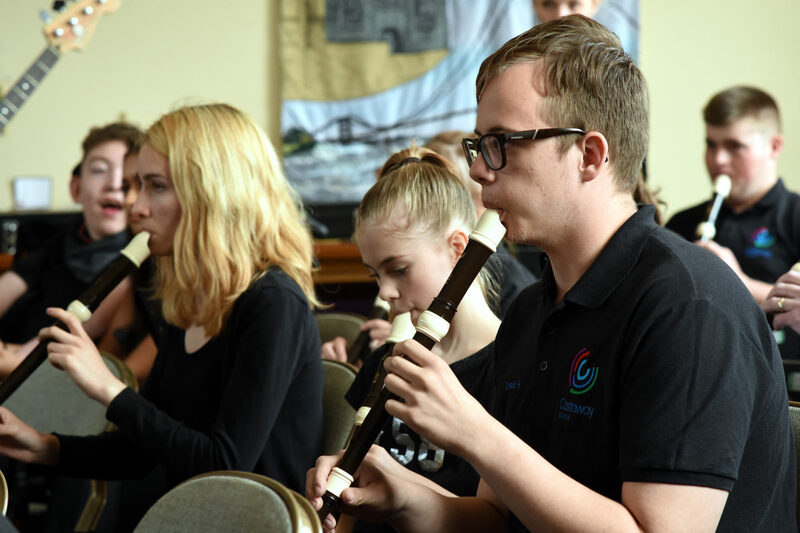 After being awarded the accolade of ‘Good Practice Centre’ in 2014-15, Castaway Goole have continued to embed Arts Award across their provision. This case study takes a look at what they have achieved and how. Written by Steph Brocken. 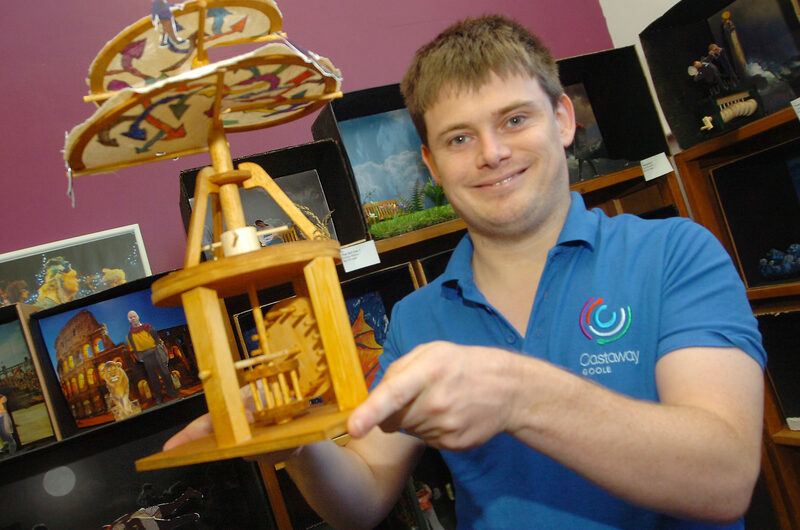 This case study takes a look at the work of Castaway Goole in embedding Arts Award into their programme. 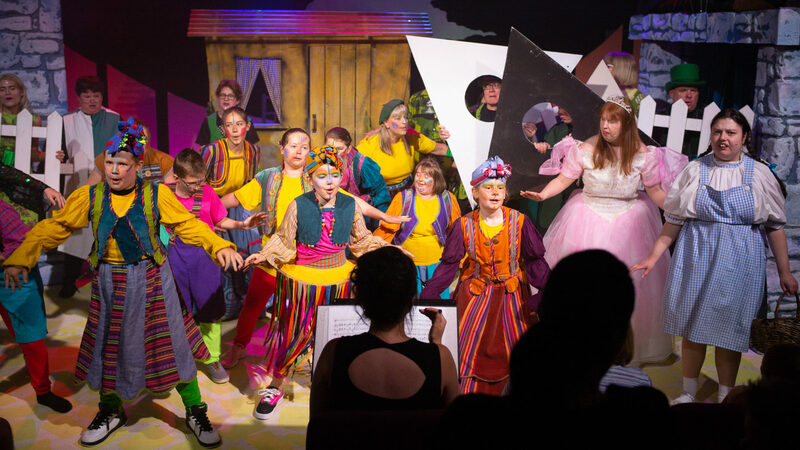 They began with integrating Arts Award into their Youth Theatre programme in 2008 and, since then have expanded their offer to include Discover, Explore and Silver. They were celebrated as a Good Practice Centre in 2014-15 for their work in developing accessible and inclusive methods for young people with learning and physical disabilities and autism spectrum conditions. Castaway have embedded Arts Award across their programme to support their key aims for enabling progression for young people from initial engagement to semi-professional performance. Castaway have developed an approach to delivering Arts Award that supports young people with a range of needs to engage with the award at four different levels. Castaway Music Theatre began as a single performing arts group and has been performing musical shows each year since December 2003. The organisation was formally launched as a charity in 2007 and the programme has continued to grow and develop since then. 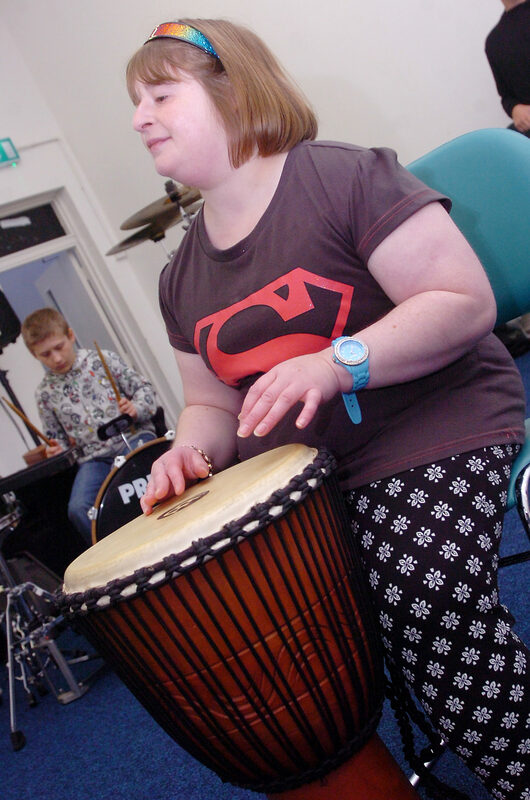 Castaway specialise in performing arts activity for adults and young people with learning and other disabilities and since August 2014 have been operating from their own space in Goole which provides a creative hub and centre of excellence for arts activity with disabled people. Their provision has grown over the years from their original adult theatre group to include artforms as diverse as dance, music and multimedia, and a 6 day a week programme including day academy courses and a community choir. Arts Award was identified as offering an opportunity to introduce meaningful accreditation for the work that young people were participating in within their projects. The team highlighted that, often, accreditations for those with learning disabilities tend to sit at lower levels. Arts Award’s great selling point where this is concerned, is that it sits on the Regulated Qualifications Framework (RQF) clearly at Entry Level (Entry 3) up to Level 3 meaning that comparisons can easily be drawn between it and more formal qualifications. As an out of school organisation delivering arts and cultural activity in a non-formal environment, Arts Award enables young people to achieve such accreditation in a way that is more flexible in terms of their own lives and directly tied to activity that they have chosen to take part in on a voluntary basis. Because of the multi-disciplinary nature of the work that Castaway does, encompassing music, drama, dance and digital arts, they needed an award that would be transferable across these artforms and would support and encourage reflection on experiences across the programme. This means that not only can young people complete their Arts Award through participating in varied programmes, but staff members delivering are able to apply their Arts Award skills and techniques across different programmes within the organisation. A key element of the Castaway programme is professionalism and progression. Arts Award was identified as enabling young people to develop leadership skills, supporting the work that the organisation does already in providing young people with access to professional level experiences. As Castaway’s provision has expanded, thus opportunities to engage have expanded and opened up for people of different ages and different levels of experience to get involved. This has developed into a progression led approach that supports young people to undertake a journey through Castaway from their first engagement, onto participating up to a semi-professional level. Arts Award, therefore, with its scaffolded structure is ideally suited to helping young people progress their engagement and develop leadership skills. Due to Castaway’s nature as an inclusive and accessible group, supporting young people with a wide range of needs, any accreditation approach needed to also be flexible enough to allow young people to document and reflect on their work using a range of approaches beyond writing. Arts Award has offered this and Castaway have engineered a range of innovative methods to ensure this inclusivity factor. “We started by embedding Arts Awards in our Youth Theatre group from its inception in 2008. It has always worked well and we have the necessary professional skills within our team to deliver to a high standard.” Jo Glover Co-Director. Castaway began their Arts Award journey by embedding Bronze level with their Youth Theatre in 2008. This first project resulted in 8 successful moderations. This first project was centered around the devising process for a piece of multi-media theatre entitled ‘A Tale of Adventure’. This first project led on to further Bronze projects being delivered on a regular basis including specialist Shakespeare Bronze Challenge Awards associated with full-scale productions of Romeo and Juliet (2010) and A Midsummer Night’s Dream (2014). All of these projects were delivered with Castaway’s out of school Youth Theatre group where young people meet on their own time to work on drama skills and develop their own pieces of theatre. Having identified the positive outcomes through these initial projects, Castaway elected to expand their use of Arts Award into other areas of their programme. This includes their Young Musicians (Sloop Group) and progression up to working with partner organisation Engine Room Theatre, directed by Anna Webb which enables young people to work as a semi-professional theatre company producing their own innovative multimedia performance. Each of these programmes enables young people to engage with arts and culture on their own terms and in their own time and the range of stable and regular groups available to young people at Castaway helps to ensure that they are able to experience a wide range of opportunities and experiences. “Congratulations on an exceptionally high standard of portfolios, where the young people have clearly enjoyed their arts activities and have been supported appropriately to articulate their own understanding and learning. Where there was a need for staff to scribe for a young person this was backed up creatively with film evidence which gave a real sense of their enjoyment. Well done for selecting arts events that reflected the personal interests of individuals.” Jill Adamson, Moderator. So far 55 young people have achieved their Bronze Arts Award with an additional 14 Explore and 9 Discover Awards. There are six trained Arts Award advisers within the organisation which further helps to ensure that the award is embedded across the programme. Castaway operates as an out of school organization, working under the principle of voluntary participation, a cornerstone of Youth Work. This enables young people to experience the arts with a sense of freedom and without the restraints of a curriculum but can present challenges when a formal accreditation structure is introduced. The size and breadth of the programme available at Castaway means that there is a wealth of opportunities for young people to engage at different levels and with different artforms. These projects are also regular and long-term, meaning that young people have the opportunity to build a routine around their attendance and are able to complete their Arts Award in their own time. The varied programme at Castaway particularly helps to support the integration of opportunities for developing leadership skills, vital to Silver level but developed in their earlier stages through Bronze Part D where young people share and pass on their skills to others. The kind of opportunities that can be offered include supporting workshop groups, composing for the community choir, mentoring other young people and developing and supporting events within the local community. Alongside these opportunities, targeted leadership training can also be built in to support those young people looking to develop their skills further. In supporting their young people to engage with Arts Award in ways that are accessible to them, Castaway have developed a range of methods that they use to make sure that this happens. Methods used are creative in order to enable maximum inclusion regardless of the complexity of the disability. They have developed and advocated for the use of multimedia evidence such as photography and video alongside writing and recorded speech as young people often struggle with this as a sole tool. In making use of these creative approaches, not only are they supporting young people to access the award but they are also further developing their skills in areas such as film and photography, often filming or taking pictures of each other in a peer to peer style, to provide evidence for one another’s portfolios. One to one work is an important part of the delivery of Arts Award for Castaway and they have made use of individual sessions to support young people in the typing up of their responses and reflections as well as one to one interviews to plan and evaluate, particularly in working towards Part D of Bronze Arts Award (arts skills share). It has been important to Castaway, therefore, to ensure that this support is available through tapping into the Arts Award Access Fund, other pots of funding and making use of volunteer support where possible. A common challenge in any extra-curricular or non-formal setting is to ensure that young people are able to access opportunities that require engagement and support which is outside of normal sessional delivery such as attending arts events, meeting other professionals and undertaking additional research. Alongside providing support for young people to complete the portfolio elements of the Award, Castaway also fully resource these elements of the Award that require young people to participate outside their usual sessions. The impact of Arts Award on Castaway has been huge. It has provided young people with the chance to enhance their self-esteem and confidence through the achievement of tangible qualifications that are highly regarded and comparable easily to more mainstream, formal awards. Arts Award has given Castaway the opportunity to showcase and celebrate the achievements of young people with learning disabilities which often go un-recognised or undervalued. 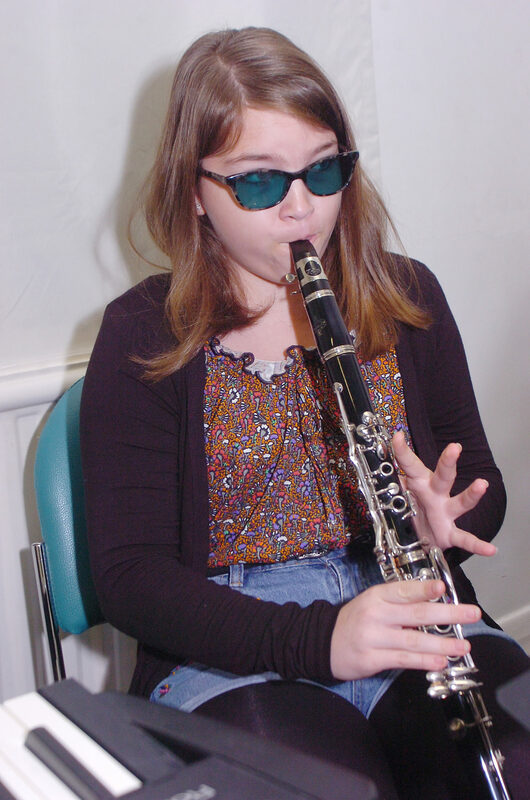 Arts Award has also helped with advocating for the value and importance of experiential learning in the arts, demonstrating that learning can happen actively and through experiences that are fun and memorable as well as educational and developmental. Castaway have also found that Arts Award has encouraged young people to take on leadership roles beyond their Award, including taking workshops out to special and mainstream schools and other student groups in further and higher education and to lead workshops in conferences with other groups with learning disabilities. “Explore and Bronze are excellent as is the progression between them. Silver will work well when we find enough support to evidence the work. We will use Discover for younger members, for those with complex disabilities and for special projects but don’t want to hand it out in a trivial way as can happen.” Jo Glover, Co-Director. Castaway are continuing to develop and strengthen their Arts Award provision through working on their delivery of Silver and Discover level. Discover was introduced into the programme in 2017 alongside Explore and helps to support younger children in their first engagements with the organisation and make their first steps into Arts Award. Silver will continue to be embedded within adult groups, mentoring opportunities and Engine Room Theatre company. They would also like to eventually work towards having a Gold level offer in the future. Ingram, G. & Harris, J. (2001). Delivering Good Youth Work: A Working Guide to Surviving and Thriving. Lyme Regis: Russell House Publishing.